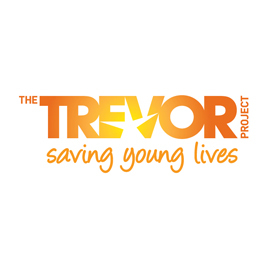 For those of you who don’t know, the Trevor Project provides crisis intervention and suicide prevention services to LBBTQ youth. They are an amazing organization that has been saving lives and helping young people gain acceptance, love and support for who they are. Homoquotables would like to support this wonderful organization. From now until 6/9/12, 15% of all proceeds from sales of cards and gifts will go directly to the Trevor Project. Please help support this crucial service. With bullying and violence against the LGBTQ community on the rise, now is best time to give. To purchase cards and gifts, click here. If you’d rather just give directly to the organization, you can do so here.